Keep your neck warm and stylish! 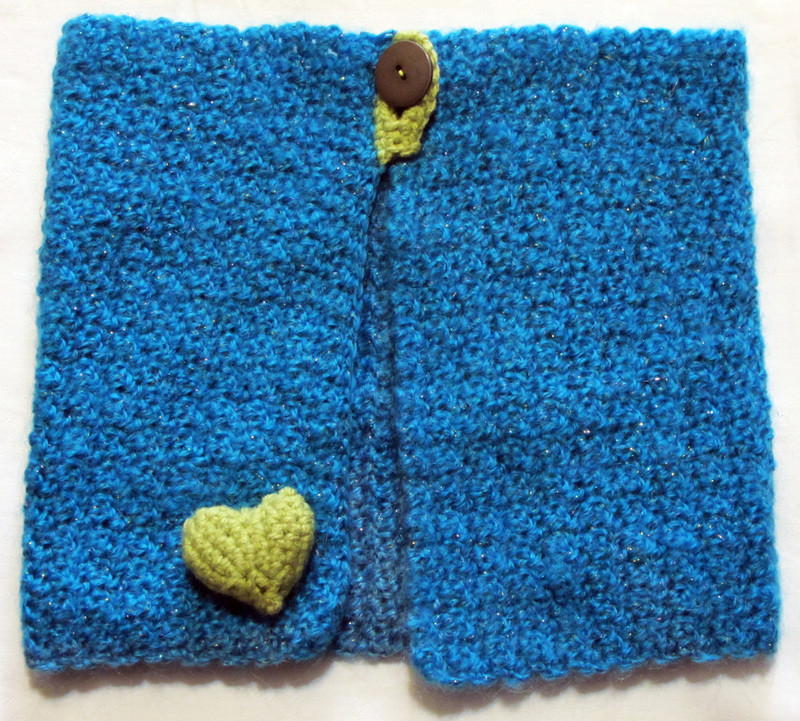 I designed and hand crocheted this item from turquoise soft wool yarn. I added a green heart-shaped brooch, you can eventually move wherever you want. The neck warmer is closed with a vintage button (at least 30 year old!!). Both design and colour remind me retro atmospheres, kind of French-Amelie style, smell of cotton candy, Yann Tiersen music and stuff like these!